10 fabulous evidence-based sure-fire tips to boost your energy and motivation that really work. Lost sleep is lost forever, and ongoing lack of sleep has a cumulative effect when it comes to disrupting your health. Poor sleep can make your life miserable, as many of you probably know and can be attributed to lack of energy, motivation and reduced performance. Whether you have difficulty falling asleep, wake up too often, or feel inadequately refreshed in the morning, the good news is that popping sleeping pills does not have to be the solution. So let’s start by with checking out your sleep health and how to get it back on track. Try the following quiz to see if sleep could be part of the fatigue issue. 1. Do you find it very difficult to get to sleep? 2. Do you get less than 7 hours sleep a night? 3. Do you often or always go to bed later that 11 pm? 4. Do you constantly toss and turn or wake up in the night? 5. Do you wake up most days not feeling well rested? Menopause: due to hot flushes, anxiety, and/or change in progesterone levels. Hormonal fluctuations: high cortisol; hyperthyroidism; low progesterone (progesterone promotes sleep). Ageing: normal decrease in depth, length, and continuity of sleep. Factors responsible include underlying medical conditions, increased sensitivity to environmental factors, medications side effects, neurologic disorders that may cause confusion and disorientation, increased likelihood of depression, anxiety, and grief. Medical conditions: gastro-oesophageal reflux disease (GORD), polymyalgia, fibromyalgia and other chronic pain syndromes, hyperthyroidism, arthritis, heart disease, attention deficit hyperactivity disorder, obstructive sleep apnoea. Certain medications: decongestants and bronchodilators, and beta-blockers…. Other: high fat diet, lack of exercise, food sensitivities, insulin sensitivity and Diabetes. So how much sleep do we actually need? Six to eight hours per night seems to be the optimal amount of sleep for adults. However, it’s the quality of sleep that’s important. What are the stages of sleep? The brain enters different sleep stages while you sleep: Light Sleep, Deep Sleep and REM Sleep – the stage of sleep where dreaming occurs. All too often people struggle with tiredness and lack of motivation because of too much light sleep and too little deep sleep and REM. 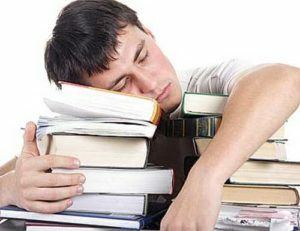 Often almost no deep sleep is obtained and since light sleep is nowhere near as powerful as deep sleep, the brain tries to compensate by sleeping for 9 hours or more. Paradoxically, this is also the case of insomnia – the brain isn’t properly “trained” to enter the deep stages of sleep, so it tends to hover in wakefulness and the lighter stages of sleep without getting any real rest. To boost energy levels and get by on less sleep we need to train our brain to include more deep sleep and REM in less amount of time. To do that we need to normalise key sleep and relaxation neurotransmitters and chemicals serotonin, melatonin, cortisol, and dopamine cycles by improving our sleep habits..
Food and stress are at the root of many digestive problems leading to constipation, diarrhoea, flatulence, frequent fatigue and lethargy, tummy cramps, leaky gut, irritable bowel syndrome (IBS), irritable bowel disease (IBD) and allergies and intolerances. Improving your diet is not going to help much unless we heal the gut first. Following a viral or bacterial infection of the intestinal tract, the permeability of the gut may be altered, causing a “leaky gut,” which allows undigested food residue to more easily pass into the blood stream. This in turn can cause fatigue, headaches, further food sensitivities and gut inflammation. A diet high in refined foods slows the transit time in the colon allowing toxins to linger and inflame the gut lining. Malabsorption and/or leaky gut syndrome is the result. Allergic reactions to food, food intolerances, refined food, junk foods, food additives, and chemical contaminants in food can alter our moods and lead directly or indirectly to a constant state of low energy. Allergens irritate the system because they are made up of protein molecules which are bigger than those normally found in food. The blood vessels and membrane tissues of the allergic person are of poor quality and allow the entry of the larger protein molecules and release histamine causing reactions. Certain foods seem to cause more of an allergic response than others. They are wheat, peanuts, cow’s milk and other dairy products, corn, and eggs. Beyond this list of common irritants, almost any food can provoke a response depending upon the individual. Most individuals are allergic to more than one food. Restore the body’s pH balance by eating a plant-based diet of fresh foods and eliminating refined foods. Eat a natural and plant- based diet as often as possible. Cut down on processed foods – the majority are more likely to be depleted of vital nutrients, through processing and long-term storage, are often loaded with sugar, full of synthetic chemicals, and overloaded with food colourings and Instead et more live foods –raw (or lightly cooked) fruits and vegetables, and sprouted grains, nuts and seeds (or lightly cooked) which are full of essential nutrients and only contain natural sugar. Eat regular meals. I recommend eating small amounts every three to four hours to avoid over-eating at meal-times and to keep your blood sugars up in between meals. Snacks like fruit and nuts, cheese, cottage cheese or an egg will satiate your hunger and boost energy. After time it may work better for you to increase times between meals. Experiment. Eat more protein. Essential for staving off fatigue, especially earlier in the day when your cortisol levels are high. At breakfast eat eggs, have a slice of steak or salmon on the side or add protein powder to your oatmeal or smoothie – if you eat only carbohydrates, you’ll crash early and hard. Eat more of these energy boosting foods. Forget chocolate or fizzy drinks – healthy foods can boost your energy too! Natural unsweetened yogurt. Add a dollop of natural goat’s milk yogurt to your breakfast, favourite salad or on top of the next curry you make to get a great boost of calcium and huge dose of probiotics. Nuts are packed with nutrients. By eating raw, unsalted nuts your body is provided with a high-energy boost packed with nutrients including magnesium and good oils. Soak overnight in water to activate them – starting the germination process to increase the nutrient value and ease of digestion. Packed with omega-3 fatty acids high in protein, vitamin B6, niacin and riboflavin. One cup of mushrooms provides almost 50 per cent of your daily serving of iron – which is essential in transporting oxygen within the bloodstream. Without an efficient oxygen supply we can often feel fatigued and lethargic. Extremely high in iron, magnesium and potassium. Magnesium plays a vital role in producing energy, and paired with potassium enables effective digestion in the stomach. Add to your favourite salad, smoothie or serve it wilted with some eggs for breakfast. Pumpkin & sunflower seeds. Snack on a quarter of a cup of pumpkin seeds and you will get about half the daily recommended amount of magnesium. Sweet potatoes.My favourite source of carbohydrate, sweet potatoes, contain iron, potassium, magnesium, vitamin C and vitamin D – all of which help to increase energy levels and stop you from feeling tired. Eggsare the highest source of complete protein with eggs providing an impressive 30 per cent of your daily requirement. Fresh, seasonal produce is sustainable, less costly, environmentally-friendly, has increased nutrient value, and more flavoursome and colourful. When it comes to fighting fatigue, seasonal produce is at its maximum nutrient potential. Drink more water and less caffeine and alcohol. See TIP one. Water- Splash in a slice of lemon, lime, mint or cucumber for a refreshing hit, or combine hot water with fresh or powdered cinnamon or ginger and half a squeezed lemon for a healthful energise. Low-fat milk has bonus vitamins and minerals like calcium. Dilute 1/3rd blackcurrant or cranberry juice with 2/3rd soda water or sparkling water. Iced teas are super simple to make at home without adding sugar. Fatigue can arise from an array of nutritional deficiencies including magnesium, iron, vitamin D, vitamin B6 and B12 deficiencies. Additionally lower levels of essential fatty acids, L-carnitine or magnesium could be the culprit; these nutrients give direct support to mitochondrial functioning – an essential pathway for the production of cellular energy. Magnesium. Magnesium is one of the six essential macro-minerals that comprise 99% of the body’s mineral content. Magnesium helps build bones, maintain normal muscle and nerve function and is essential to the production of energy from food, keeps heart rhythm steady, supports a healthy immune system. Magnesium also helps regulate blood sugar levels, promotes normal blood pressure, and is known to be involved in energy metabolism and protein synthesis. Magnesium has been shown to have therapeutic value in treating conditions such as headaches, migraines, fibromyalgia, chronic pain, asthma, and sleep disorders, and in recent large scale study, magnesium has been linked to a reduced incidence of conditions such as heart disease, hypertension and diabetes. 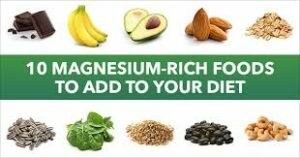 Magnesium rich foods include dark leafy greens, nuts, seeds, fish, beans, whole grains, avocados, yogurt, bananas, dried fruit, dark chocolate, and more. B Vitamins have an important role in changing carbohydrates, protein and fat to energy and help form red blood cells. Most B vitamins have a number and a name. 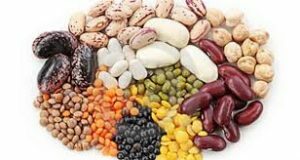 The B vitamins are; B1 (thiamine); B2 (riboflavin); B3 (niacin); B5 (pantothenic acid); B6; B7 (biotin); B12 (cobalamin) and folic acid. B vitamins need to be eaten daily as they are not stored in the body, but used as required. Because any B vitamins we don’t need are flushed out through our urine, it is difficult to consume too much. You can get B vitamins from proteins such as fish, poultry, meat, eggs, and dairy products. Leafy green vegetables, beans, and peas also have B vitamins. Many cereals and some breads have added B vitamins. A lack of B12 or B6 can cause anaemia and lead to fatigue. Iron is a mineral in the human body. It is one of the components of haemoglobin, the substance in red blood cells that helps blood carry oxygen throughout the body. If you do not have enough iron, your body cannot make haemoglobin, and you may develop anaemia. Symptoms of anaemia include feeling tired, weakness, pale skin and frequent infections. All of these signs and symptoms can occur because your heart has to work harder to pump more oxygen-rich blood through the body. Iron in food comes from two sources: animals and plants. Iron from animal sources is known as heme iron found in various meats and fish and from plants is known as non-heme iron, found in certain vegetables and iron-fortified foods such as breakfast cereals. Heme iron is better absorbed by the body than non heme iron. Vitamin D, the “sunshine” vitamin is a hot topic. The most well-known consequences to not having enough vitamin D are rickets in children and osteomalacia in adults. However the consequences are numerous and include skeletal diseases, metabolic disorders, cancer, cardiovascular disease, autoimmune diseases, infections, cognitive disorders, and/or mortality. A symptom can be lack of energy. Concern about vitamin D deficiency has re-emerged in New Zealand as a result of health messages to reduce sun exposure and encouragement to use ultraviolet (UV) sun screens, reducing the skin’s ability to produce vitamin D. Vitamin D is in oily fish, such as canned tuna and salmon, eggs, lean meat and dairy products. There are now margarines, milks and yoghurts fortified with vitamin D available in New Zealand. During summer, being outdoors before 11am and after 4pm should allow enough sunlight to be absorbed to meet your vitamin D needs. We still need to practice good sun protection (sunscreen, hats and coverage) during the summer months. In winter, longer periods are required, around 30 minutes per day, with those people living in the south island of New Zealand needing more exposure because of the lower UV levels. Exercise is vital – it counteracts stress, keeps weight down and supports a healthy immune system. It makes sure oxygen and nutrients are delivered to where they need to be, it helps get rid of the body’s waste products and it increases stamina and energy levels. How regularly you do it is important. Everyone needs to make sure they huff and puff around 30 minutes 3-4 x a week. If you don’t already have an exercise programme in place start off slowly and gradually increase the duration and intensity. Choose something you enjoy and make it fun – walking the dog, going for a bike ride with the whole family, joining the gym with a friend. Doing it with someone else can really help to keep you motivated. And remember to get your kids playing outside, rather than stuck in front of the telly or on the computer. Yeah, yeah, you’re too tired to exercise, right? Well studies show that the more you move, the more energy you’ll have. Often people don’t push their bodies hard enough. While it’s true that any exercise is good, try to really sweat. I recommend High Intensity Training (HIT) – where you work at nearly 100% capacity for 45 seconds, rest for 90 seconds, and then repeat for 20 minutes. It helps burn fat for the next 36 hours and increases metabolism. Make sure you check with your health practitioner if you have a pre-existing medical condition before you start an exercise programme. Neuro Linguistic Programming and or Emotional Freedom Technique can be used to help balance your body’s bioenergy system and resolve some of the emotional stresses that can contribute to your low energy levels and perhaps insomnia. The results are typically long lasting and improvement is remarkably rapid. Breathe!!! A few nice deep breaths can be so relaxing. It can be a quick and easy stress reliever and energy lifter. You can do this anytime, anywhere and it’s not visible to others. And the good news can be that because you are less stressed, your hormones and metabolism will start to balance – having you full of energy and healthier in the process. When people are stressed, they tend to take short little breaths rather than deep, relaxing ones or even hold their breath at times. Is this true for you? Check it out. There are many breathing techniques but try this for starters and observe how breathing deeply makes you feel. Visualisation– involves imagining a relaxing scene. You can try it in bed before falling asleep. Involve all your senses. If you’re imagining yourself on a tropical island, think of the way the warm breeze feels against your skin. Imagine the sweet scent of the flowers, look at the water and listen the waves–you get the picture. The more vivid the visualisation and the more senses you involve, the more effective it will be. Relaxation Response– A mind/body technique based on the principles of Transcendental Meditation. Mindfulness– A type of meditation that essentially involves focusing on your mind on the present. Yoga– combines deep breathing, meditation, and stretching. Acupunctureand acupressure have been shown to help improve fatigue. 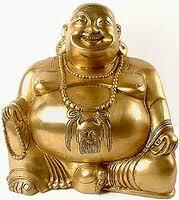 Stress is the way the body responds to an external or internal influence (a stressor). A stressor can be either positive or negative. For example: a feeling of fear if you are chased by a ferocious dog or excitement when winning the lottery. Regardless of why you are stressed your body responds in the same way. Why do we feel stressed? It is important for ‘survival’ that our bodies produce the stress response known as the fight or flight reaction. When we are stressed our bodies produce a hormone called adrenaline which makes us experience most of the emotional and physical feelings when we are distressed. In the days of the caveman these responses made sure that we knew what to do to survive if we came face to face with a sabre toothed tiger or a woolly mammoth. These days, the stress response allows us to cope in the modern environment. Certain levels of stress can be motivating, allowing us to achieve and succeed. The goal is to limit the harmful effects of stress while maintaining vitality. 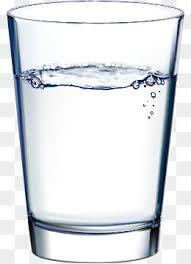 Change your attitude: Become an optimist, choose to have a positive attitude and make that glass half full. Set positive goals, especially relating to health and fitness – begin an exercise programme, plan healthy meals and shop accordingly. Use positive affirmations to improve your self-esteem and create a healthy state of being, for example: “I take responsibility for my health” or “I have an abundance of energy”. Decrease stimulants (caffeine, chocolate, energy drinks). These enhance the stress response. Decrease alcohol – it’s a depressant. Limit salt intake – excess salt causes potassium to be lost in urine. Eat small, regular meals to regulate blood sugar levels and to give sustained energy. Neuro Linguistic Programming (NLP) Modelling is the process of recreating excellence. We can model any human behaviour by mastering the beliefs, the physiology and the specific thought processes that underlie the skill or behaviour. It is about achieving an outcome by studying how someone else goes about it. So, let’s says we want to achieve a skill or excellence then we model someone good at the skill and aim to be that person. 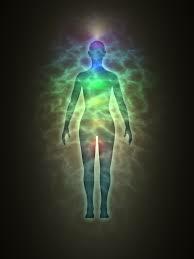 How do I become more energetic? So a simple approach is to imagine being someone you know who is full of life or ‘be as if’ you are already an energetic person. Start to notice how that person holds their body, what they are saying, perhaps notice how they are being energetic – what do they eat, what activity do they do, how stressed are they (or not). Bring all your senses alive as you do this. There are plenty of physical reasons for loss of energy and if your low energy levels have been going on for a while then you should consider getting blood tests. In particular thyroid issues and iron deficiency anaemia, as well as hormonal imbalances for women, may be part of the puzzle. Hormones can greatly impact fatigue, and PMS can hijack your energy if you don’t prepare for it. You’re losing fluid, your hormones are plummeting and you can get neck pain and confusion. Some of us become lunatics. To curb the fatigue that comes with PMS, fill up on fruits and veggies, eat more fibre and complex carbs, avoid salt and caffeine, exercise more and try yoga or pilates. Natural remedies like fish oil, magnesium, chasteberry herb, vitamin B6 and licorice may also provide relief. When it comes to perimenopause, the transition to menopause, “fatigue” is better described as chronic exhaustion and deep weariness. Usually, the culprit is a hormonal imbalance. Many of the natural therapies that ease PMS will also help with both perimenopause and menopause. 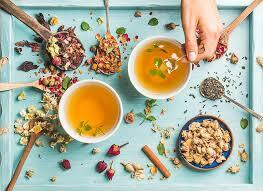 Herbs like St. John’s wort, black cohosh, red clover, evening primrose oil, valerian root and ginseng. 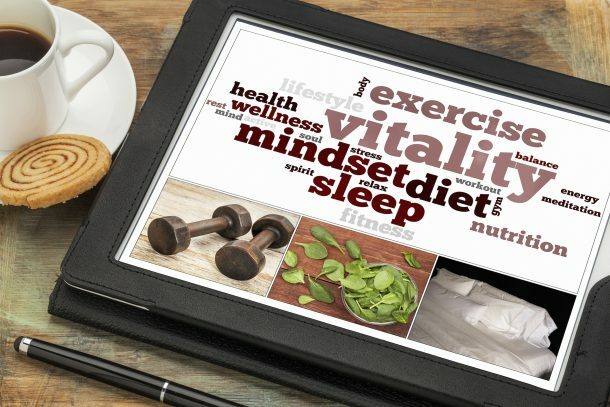 If you can’t find relief through lifestyle changes and your general practitioner says everything’s normal, you may want to consider diagnostic testing or visiting a holistic health professional to pinpoint exactly where the problem lies. From a food allergies profile test to vitamin analyses, you’ll be able to figure out exactly why you’re so tired. You know your body, you know when there’s something not right. Don’t accept that fatigue is for life because more often than not it can be fixed.